Very friendly, accommodating and helpful owners, we were invited to a traditional Greek wedding that was happening while we were visiting. 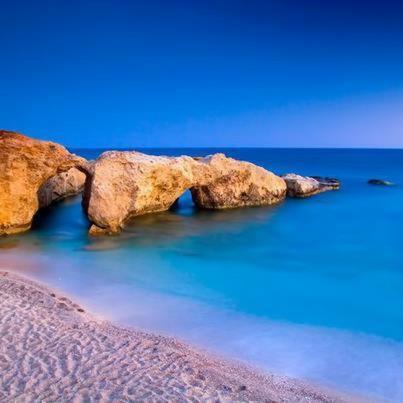 They were also very helpful in recommending the best places to see in the north of the island and the best times to see them. Also if you don't have transport the hotel does offer a taxi service to locations around the island. The room we had was a small apartment (enough to accommodate 3 people) with kitchen facilities which we found handy. The apartment was very clean, with air conditioning available, there was also a nice balcony to sit and relax. 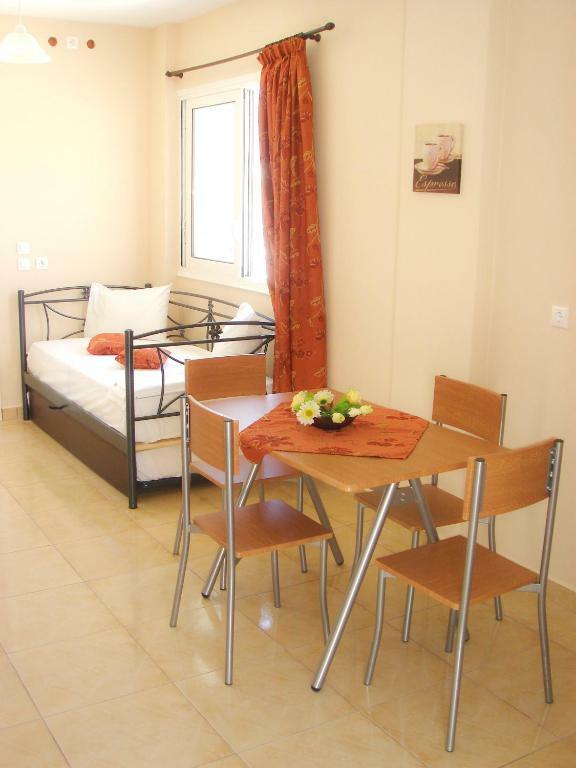 Location wise, everything is within easy walking distance as Diafani is only a small town town. Once you check out it is possible to leave your bags at the main reception if you don't plan on leaving till later. Our studio had a great balcony with sun and shade during the whole day. 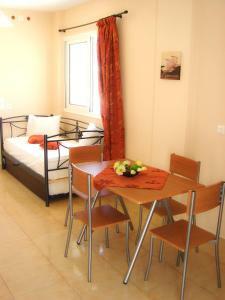 Good, simple, clean studio type room on upper floor of central hotel in very quiet town. Windows had mesh screens to keep bugs out! Separate entrance via stairs. Good basic breakfast supplied (extra). Owner, Minas, was friendly and spoke reasonable English. He recommended place to eat and took me to Olympos the following day for a small charge. The apartments were quiet and well maintained. There was a fridge and cooking facilities.The owners were very friendly and helpful. The location was excellent . Great location. Very comfortable hotel. Very friendly owner and his wife. Minas and Flora were both lovely, very hospitable and went out of their way to make us feel welcome and comfortable. Flora's cake is fantastic! The room was a good size, clean and quite comfortable. The fridge and hobs were in good working order. Diafani is very pretty and is ideally situated for walking. It has some nice tavernas and restaurants and the little traditional shop is surprisingly well stocked. The location, room and the owner were all great. Highly recommended. buona posizione, buon wifi, bella e ampia terrazza.Bagno piccolo ma negli standard greci. Facile parcheggiare lungo la strada. Minias il proprietario organizza anche trekking e quindi a chi è appassionato può dare utili consigli e dritte su quello che si può fare nell'isola. Lock in a great price for Dorana Apartments & Trekking Hotel – rated 8.6 by recent guests! 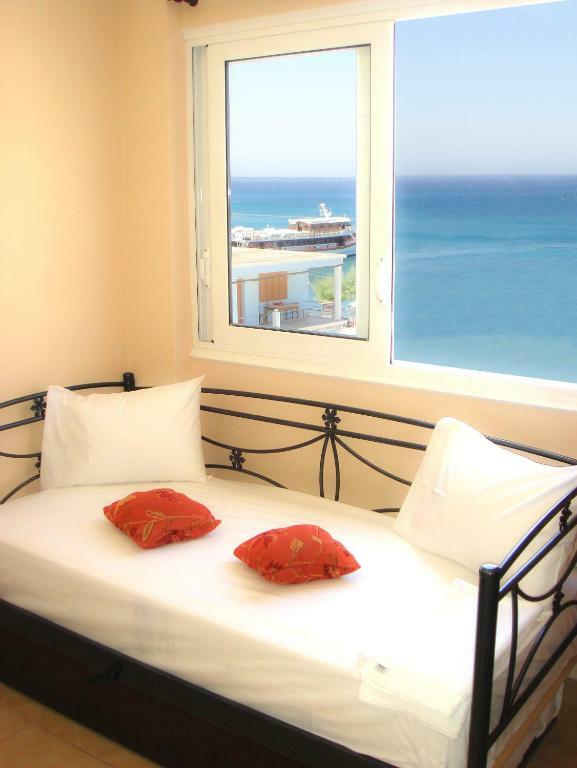 The family-run Dorana Studios & Apartments offers comfortably furnished rooms with views of the sea or the mountains, just 150 feet away from the nearest beach. Dorana Studios & Apartments provide guests with free wireless internet in the entire hotel building. Guests have the option of a breakfast with traditional local produce. 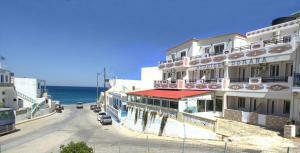 The hotel is a short walk from the harbor and several seafront restaurants. 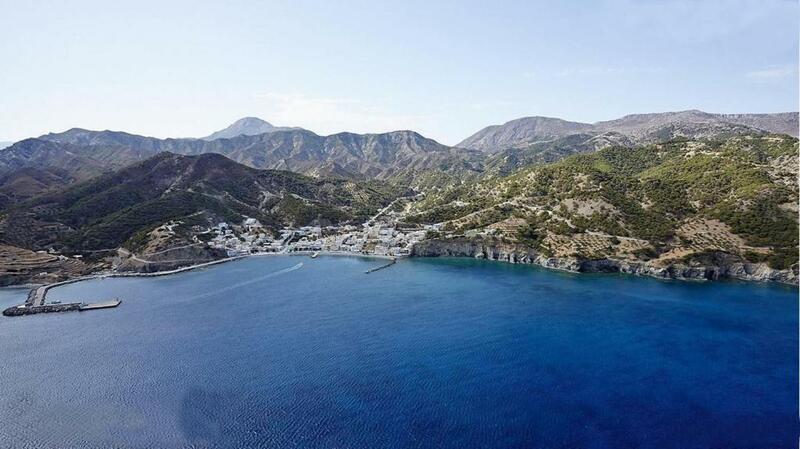 The bus stop for the unspoiled, traditional village of Olymbos is only 50 feet away. The hotel serves as the perfect base for guests to easily explore the rest of this magnificent island with its picturesque beaches, majestic mountains and authentic villages. Staff can advise on hiking trails or organize guided excursions at Saria Islet. 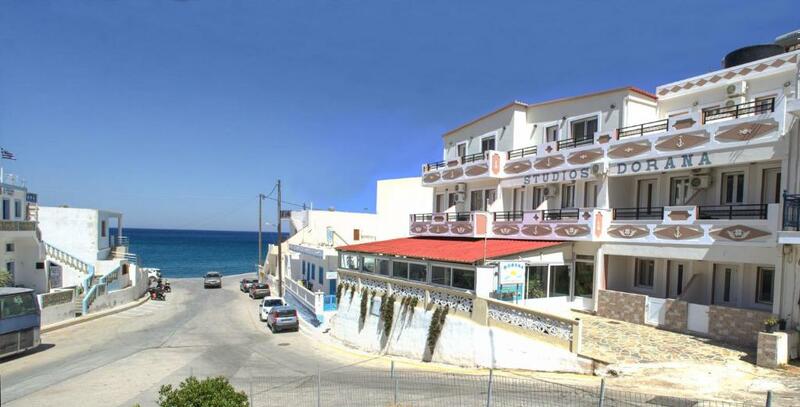 This property also has one of the top-rated locations in Diafani! Guests are happier about it compared to other properties in the area. 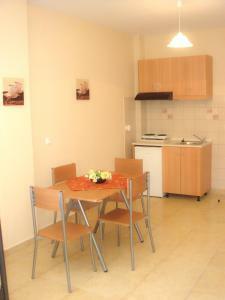 This property is also rated for the best value in Diafani! Guests are getting more for their money when compared to other properties in this city. When would you like to stay at Dorana Apartments & Trekking Hotel? Features kitchenette with fridge. Includes satellite TV and free internet. Overlooks the sea. Air conditioning is available upon charge. Features kitchenette with fridge. Includes satellite TV and free internet. Air conditioning is available upon charge. This apartment has a balcony, microwave and barbecue. Air conditioning is available upon charge. Please note that 2 extra beds can be added in this room type. 2-room apartment with terrace. Please note that the 4th guest will be accommodated in a sofa bed. Overlooking the sea, this studio features a kitchenette with fridge. Includes satellite TV, air conditioning and free internet. This family room has a balcony, washing machine and soundproofing. House Rules Dorana Apartments & Trekking Hotel takes special requests – add in the next step! Dorana Apartments &amp; Trekking Hotel accepts these cards and reserves the right to temporarily hold an amount prior to arrival. Dorana Apartments & Trekking Hotel accepts these cards and reserves the right to temporarily hold an amount prior to arrival. Guests can either pay by credit card or in cash. Air conditioning was installed in room but no remote. Didn't ask as not needed, but not offered. Assume was extra. We had booked a sea view, which wasn't available on arrival; for us this wasn't worth worrying about but other people may be more concerned by this. The self catering equipment was minimal even for preparing breakfasts. Very clean apartment, sea view!